Five flights operated by All Nippon Airways subsidiary ANA Wings have been delayed after a pilot failed a breathalyser test. ANA said the pilot, aged in his 40s, had drunk alcohol the previous day. The airline pledged to deal with the incident according to company rules. 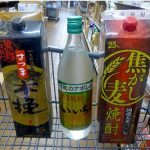 The pilot had apparently drunk two 350-millilitre cans of whiskey and soda at a hotel in Osaka the day before the flight. ANA says it is taking the latest drinking incident very seriously. Last October, a male ANA Wings pilot was unable to perform his duties a day after he drank alcoholic beverages, the Japan Times reported. In another incident, Japan Airlines pilot Katsutoshi Jitsukawa was sentenced last month to spend most of this year in the unfamiliar surroundings of an English prison after being jailed for being drunk on duty. Jitsukawa was not just marginally over the alcohol limit but almost 10 times over – just before he was due to take off from London for Tokyo in a B777-300, a flight sector of almost 12 hours. MEANWHILE, a pilot working for Korea’s Jin Air has been suspended from duty for 90 days and fined, after being breathalysed just before a flight. The pilot had drunk three bottles of unspecified alcoholic beverage and eight bottles of shochu the night before the flight, Korean media reported. Some of the alcohol was shared with friends. 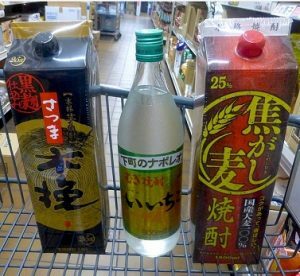 Shochu is a Japanese distilled beverage less than 45% alcohol by volume, similar to sake but stronger.